MAGNIFICENT Basilica built by architect extraordinaire Antonio Gaudi! This must-see titanic Basilica is one of Gaudí’s most famous works in Barcelona. I was amazed to learn that it has been under construction since 1882 ! It is still under construction in parts although now using modern materials which is controversial… According to the current Chief Architect Jordi Fauli, the master plan is to have the towers and most of the church’s structure completed in 2026 in time for the 100th anniversary of Gaudi’s death. Gaudi won the patronage of some of Barcelona’s wealthiest industrialists and upper-crust families, who commissioned him to build gorgeous homes and other daring buildings and parks which have helped make Barcelona a world famous tourist destination. I was awestruck to see this architectural marvel, and to admire the ueber-colourful stained glass and other incredible aspects of this Basilica. The super high ceilings give the visitor a sense of wonder. There is a small amphitheatre perched 60 metres (196 feet) above the floor of the church from where you can gaze at the church’s stained glass windows and imposing arching ceilings.The energetic can climb to the top for panoramic views! Just visiting this Basilica is a very humbling experience. Inside there is a superb and very informative museum. The souvenir shop is also well worth a visit for unique souvenirs to remember your visit. One thing you must be aware of is be prepared for the long queues for the Security Screening in these dangerous times, before you can enter. Note too that Swiss Army knives are prohibited. The Basilica had more than 3.2 million visitors in 2014 thus making it one of the most popular tourist sites in Spain! What more can I say? Antonio Gaudi was indisputably a genius! 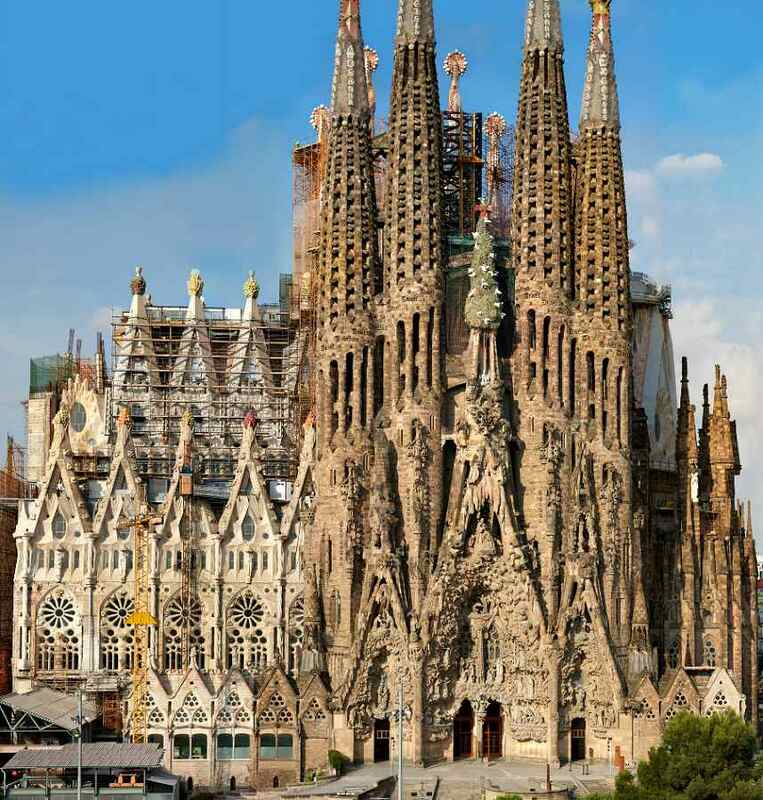 This entry was posted in Art, Castles & Museums, History, Travel, Voyages and tagged Antonio Gaudi, Architect Jordi Fauli, barcelona, Dr. Michael Lim is The Travelling Gourmet TM, La Sagrada Basilica. Bookmark the permalink.